The Cullasaja River is a very short, yet enchanting River. Lake Sequoyah is a man-made lake near Highlands, in the far southwest corner of N.C., near the Georgia border. The lake, is fed by numerous smaller streams. They all leave Lake Sequoyah over a dam near U.S. 64, as the Cullasaja River. It wastes no time finding its way into the Cullasaja Gorge, where U.S. 64 tightly twists and turns its way along side it for 7.5 miles. As it levels out and leaves the gorge, it empties into the Little Tennessee River in Franklin, NC. This river begins and ends all in one NC county. Make no mistake, this short river makes a statement! 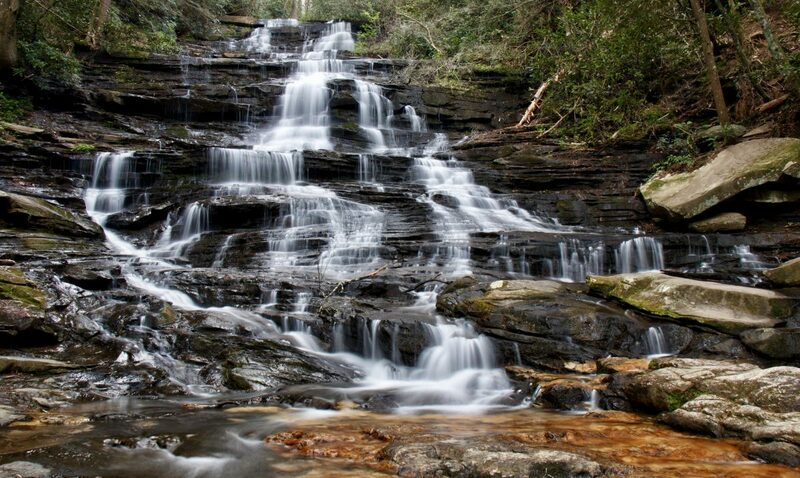 From the man made waterfall at Lake Sequoyah, to Dry Falls (magnificent, picturesque waterfall that can be walked under and remain…mostly dry) to Bridal Veil Falls (a small roadside waterfall on a tributary stream that can be driven under! 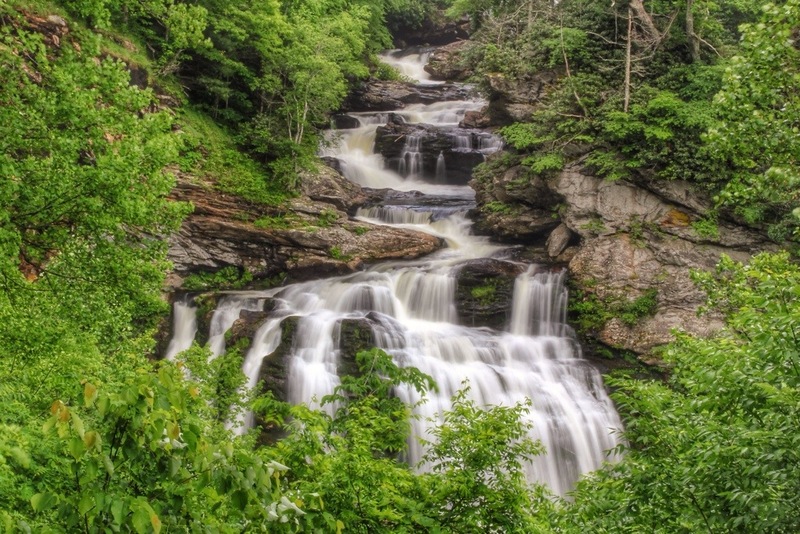 ), to Quarry Falls (popular swimming hole), the Cullasaja River is filled with beautiful places to stop as it tumbles it’s way down a very rugged gorge. It saves the best for last….or first, (depending on which way you drive into the gorge I guess), with the self named Cullasaja Falls. While the other Cullasaja drops are nice, especially Dry Falls, none are as dramatic as Cullasaja Falls. 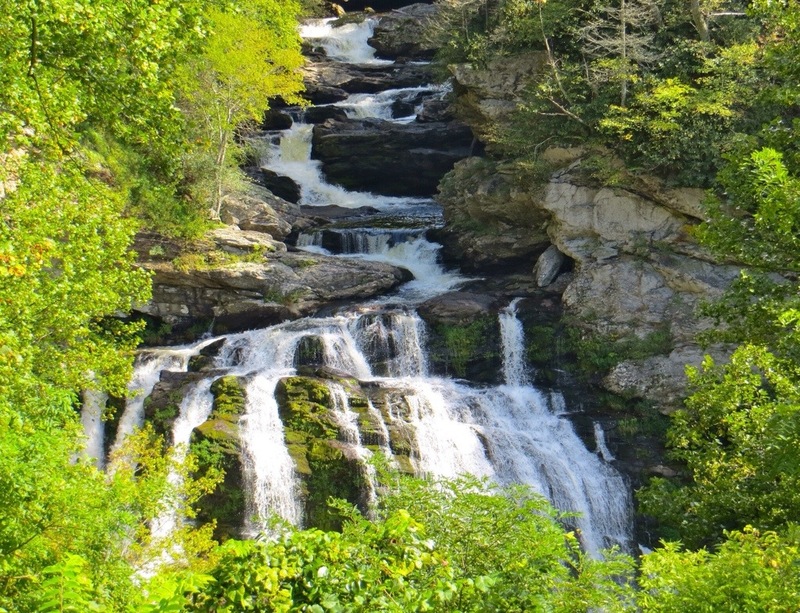 As it leaves the gorge, it makes a final 250 foot plummet over a series of cascades and a final drop appears to resemble “fingers” in normal to low flow water. While this is a “roadside waterfall”‘, safety and accessibility are an issue here. There is a small pull-out on U.S. 64, that will hold maybe 4 cars if everyone parks right. It just happens to be in the middle of a fairly sharp curve, on a pretty busy highway. 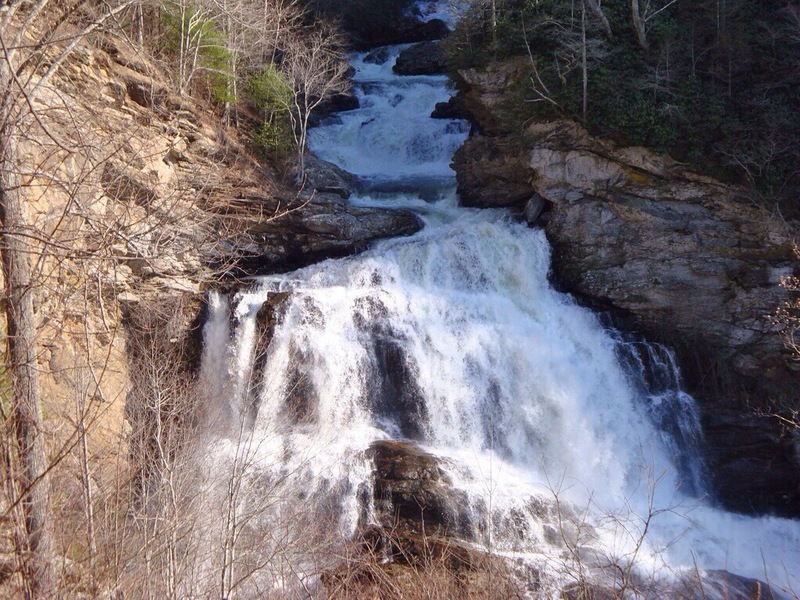 It is not exactly the ideal waterfall viewing environment. On a sunny nice day, it seems it stays packed. I have visited this area numerous times, only to pass this one by. Days that I have stopped here, my photos…just didn’t turn out. Then came the last day of May 2014. It was a cloudy, misty, dreary day with fog coming and going . Not only did this keep some traffic off the highway, the pull-out at Cullasaja Falls was empty, and the lighting was perfect for photographing the giant waterfall. I finally got the chance to set up my tripod on the other side of the railing and take my time to get some good photos. It is a moment to treasure, as I know it will not always be like this. To show this, I will show photos from my last 4 trips there. 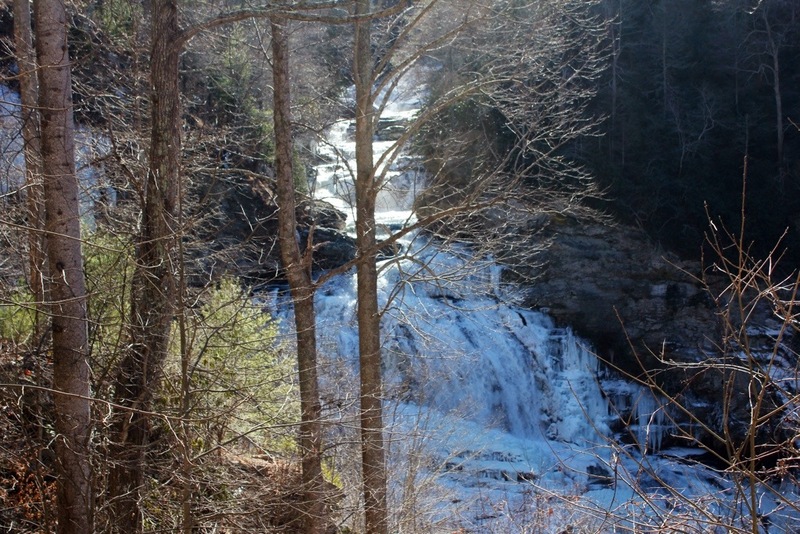 Next Next post: Soco Falls – Still Beautiful, Still Dangerous! !